Muslims Against Crusades – time to demo? His last sentence gives even the more fanciful conspiracy theories a bad name. That said, he raises an interesting point because he recognises partly what fuels the EDL. 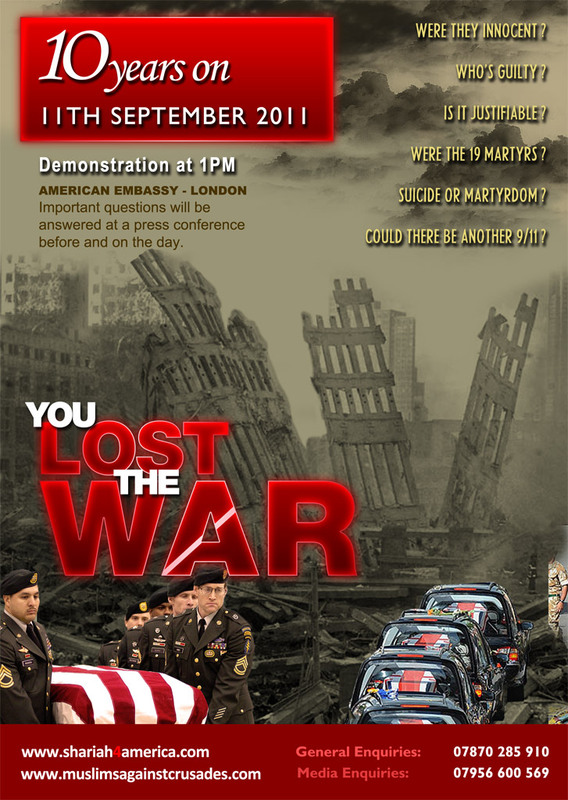 Today, September 11, Anjem will lead a MAC march to the US Embassy in Grosvenor Square. If past marches are anything to go by, the EDL will be there to greet them. In researching this piece for the Sunday Express (you need to get past the tabloidised Royal Wedding stuff for the substance), I spent a fair amount of time watching who went in and out of the MAC basement office in New Road and into the Master Printers Shop above. This place in New Road, Whitechapel, is Anjem’s headquarters and the familiar faces at the front of the periodic demos congregate there. It is right in the heart of Tower Hamlets. Here’s a thought: why don’t Sheraz and ordinary grassroots people in Tower Hamlets organise a large demo outside their office to say that like the EDL they’re not welcome in this borough either. What a message that would send to the EDL. Given that Anjem’s lot despise the East London Mosque (Shah Jalal Hussain was scathing about how it had “betrayed Muslims” when I spoke to him), the IFE stewards would, I’m sure, be willing to help police the protest. I’m just surprised the likes of United East End and Unite Against Fascism haven’t suggested this themselves..